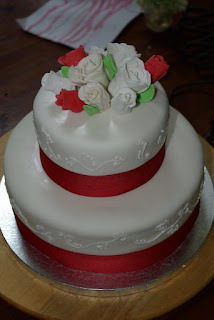 The cake is chocolate sponge with a dark chocolate framboise ganache filling. 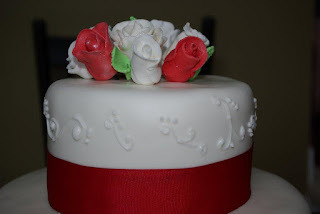 White fondant with royal icing scroll work and a red ribbon accent. 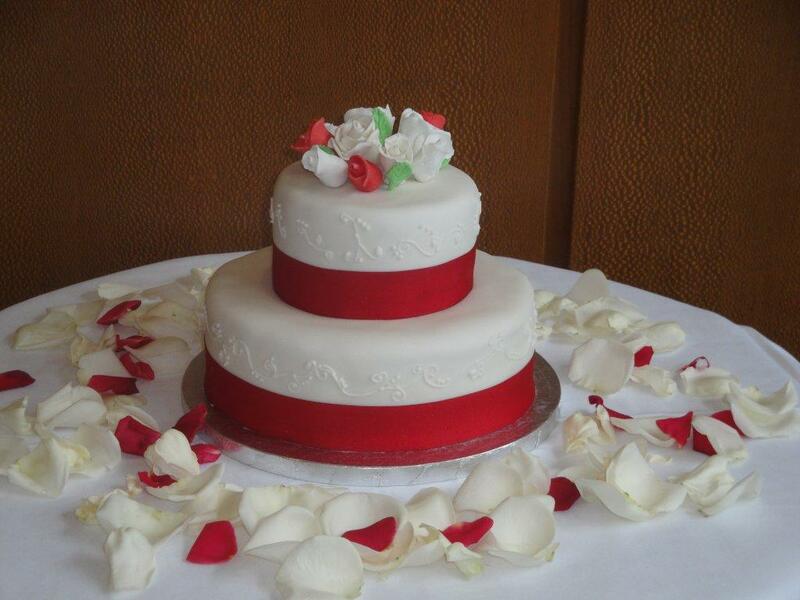 The flowers are red and white gum paste roses.